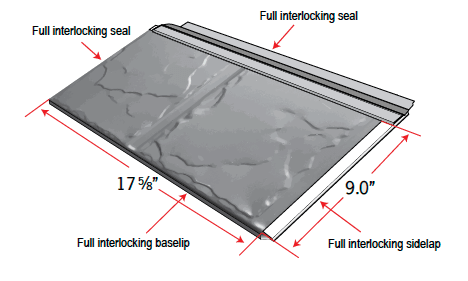 The Interlock® Cedar Shingle roof is a four way interlocking aluminum roofing system. Each shingle is embossed with a heavy cedar texture, coated with the Alunar® Coating System embedded with TEFLON® surface protector to provide an extremely durable and attractive surface. Available in your choice of designer colors.